A free hanging panel made to commission. This client approached me with an idea to create a free hanging stained glass panel as a birthday gift for his wife. The inspiration for this piece would be, The Arctic. He sent me a few photos that he and his wife had taken on a recent trip there. A beautiful and desolate place and one that inspires. I loved his photos and had no trouble at all being inspired to design a window to capture the beauty of the ice flows and mountains. 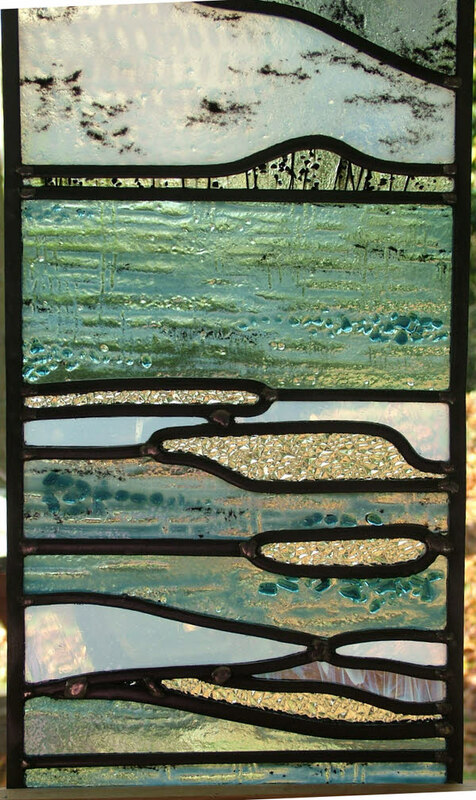 The panel is made using my own fused glass. I create this using layers of powders sifted and then manipulated using a paintbrush, pins and other fine objects to evoke the ice the reflections in the water. This is then carefully fired and monitored to make sure I get exactly the right finish. 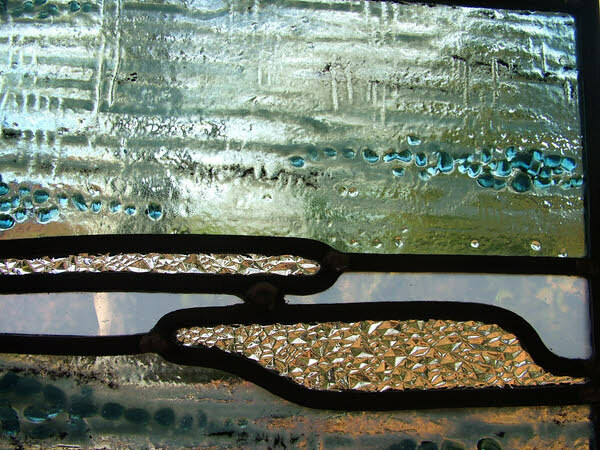 The larger ‘pebbles’ of glass are then added and fired again to give depth and form to the piece. I have also combined mouth blown thin opal glass with the fused glass and just to add a bit of ‘umph’ there is a splash of ‘Sparkle’ a machine made glass that catches the light beautifully and look like ice! Then I leaded the panel together and included two hanging points at the top. 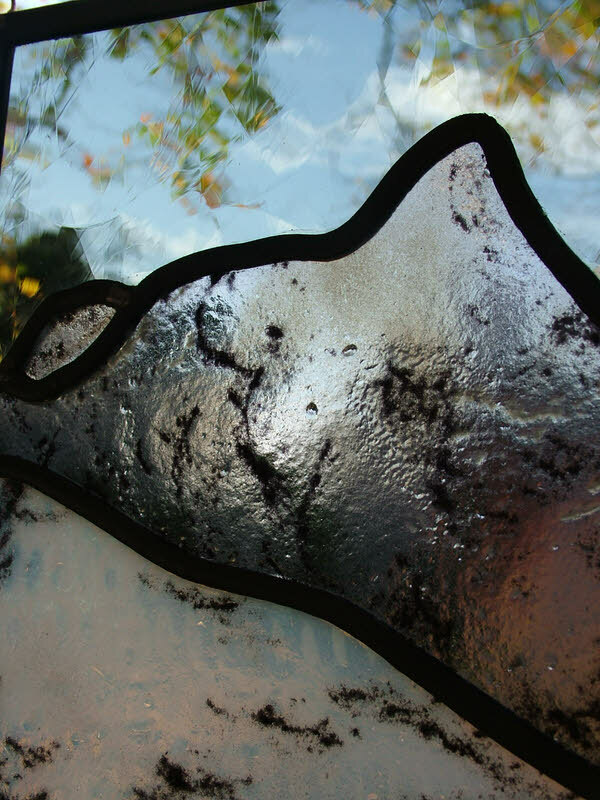 This is a piece of fused glass art that can be taken and hung anywhere. Error: Error validating access token: Session has expired on Monday, 08-Apr-19 03:56:55 PDT. The current time is Friday, 19-Apr-19 11:48:07 PDT.